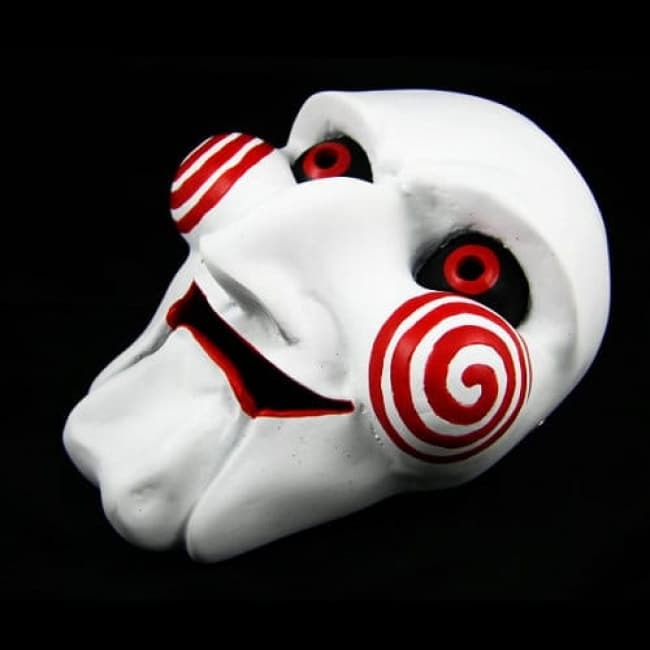 Our Billy the Puppet Mask wants to play a game! Inspired by the Saw films, this creepy mask resembles Jigsaw's terrifying puppet, featuring its iconic red eyes, swirl cheeks. Start your Billy the Puppet costume with our scary mask! 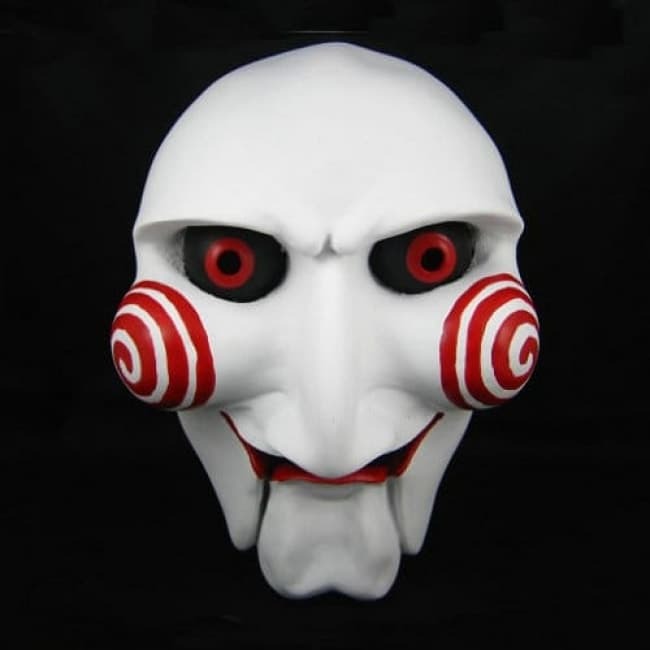 One size Billy the Puppet Mask fits most teens and adults. - Used for masquerade party, carnivals, Halloween, costume party, March Protest, etc. - One size fits most adults--held to face by elastic strap around the head. - For cleaning, wipe with clean damp cloth.